Greetings from Detroit! Day 1 of the 2017 North American International Auto Show is a wrap. Without a single OEM press conference scheduled for Day 2, this was officially debut day! That meant a marathon of rapid-fire debuts. We did our best to give each its due. Here’s 8 of the biggest headlines of the day. We’ll rest up and be back on the floor tomorrow. Stay tuned! Audi brought quite the arsenal to debut in Detroit. 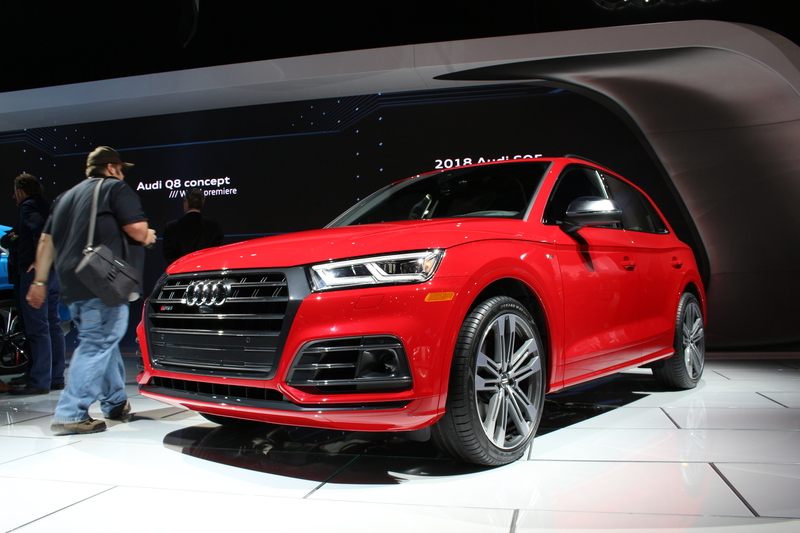 Not only was it the North American debut for the S5 Cabriolet, we were first in the world to see the all-new SQ5 and Q8 concept. As with the previous generation, the new SQ5 shares its engine with the S5. That means an all-new turbocharged V6 making 354 hp and 369 lb-ft torque. A totally redesigned suspension setup is now available with optional adaptive air suspension to lower ride height and firm up the dampers when dialed into Sport. You’ll be able reach 60 mph in 5.1 seconds this Spring. In beautiful Rivera Blue, the Q8 Concept caught our eye almost immediately. We paid more attention when a production version was announced to launch in 2018. Seating for 4, a 3.0L TFSI V6, and adaptive air suspension will all likely make it into the final version. Expect the Q8 to also launch Audi’s new infotainment interface, replacing MMI. Will the plug-in e-tron system make the cut? We won’t know until later this year. The only concrete evidence that Ford remembered it was January in Detroit came in the form of a facelifted F150. 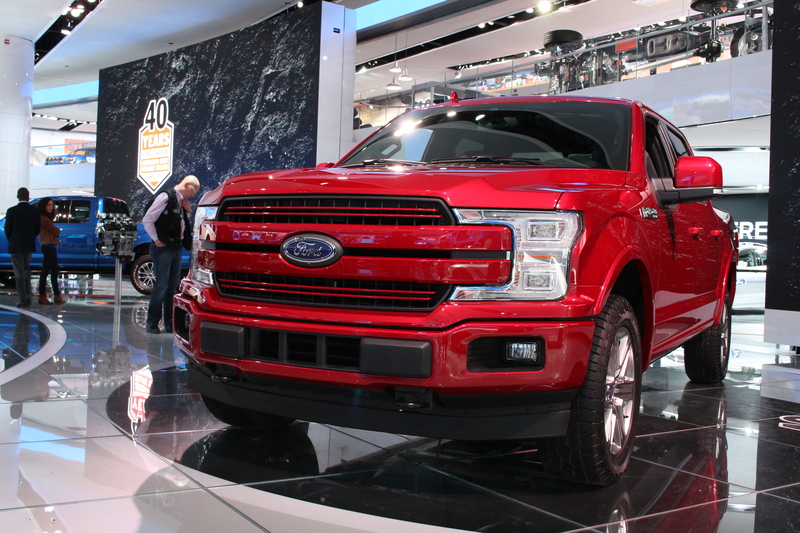 Visually, the new front and rear fascia give the F150 slightly more Ford family resemblance. The big news is a rework of all current engines, a new 3.0L turbo diesel, and a new 10-speed automatic transmission. Expect power output and mileage ratings to rise slightly across the board. Fresh faced F150 will be at dealers later this year. 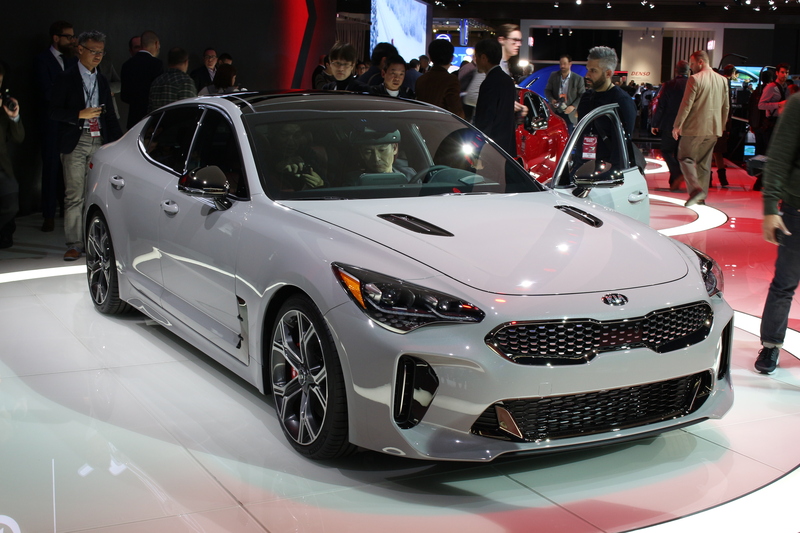 Kia may have been the star of the show with the Stinger. It’s a rear-wheel-drive sedan with a twin turbo 3.3L V6 making 365 horsepower and 376 lb-ft of torque. All that…in a Kia! Kia says the car will do 0-60 in 5.1 seconds, but we think that’s a little high. Kia cites competitors as the Audi A4 and Mercedes C Class. We think they’re aiming low, but time will tell how big of a challenger this Korean sport sedan will be. The Stinger features a standard limited slip differential on rear-drive models while all-wheel-drive Stingers get a torque vectoring system. Pricing has not been announced, but sales start this summer. Lexus is back in Detroit with a bang. 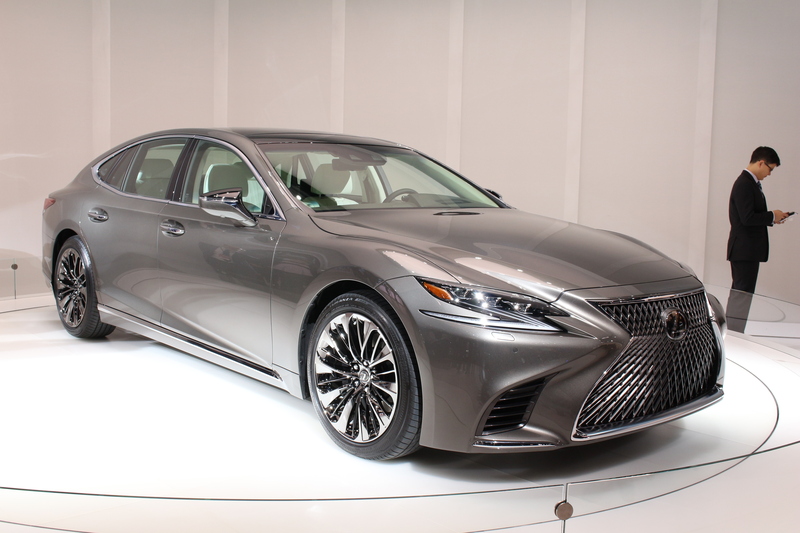 Choosing to once again reveal its flagship sedan here, the LS is all new for 2018. Gone is the 4.6L V8; a new 3.5L twin-turbocharged V6 fills the void with more power and torque, up to 415 hp and 445 lb-ft. It’s also equipped with a 10-speed automatic shared with the LC500 coupe. Also new is massive 12.3 inch center screen display. Lexus has thankfully scrapped the rather infuriating mousepad for an interface that operates more like a smartphone. We’ll pass judgement once we have a poke around. The LS will be available at the latter end of 2017. The GLA has been updated for the 2018 model year. You would be hard pressed to spot the differences, however. The front and rear ends have been tweaked slightly and there are a couple new wheel options. Inside, the task is equally difficult. The the 8 inch infotainment screen is now standard equipment. 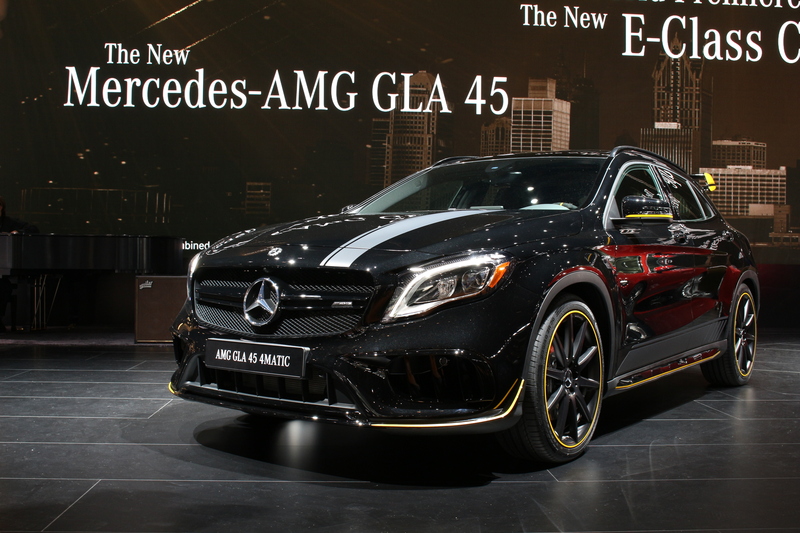 We’d spec our GLA45 AMG with the new Performance Studio Package, which makes you choose one of two black paint colors and adds yellow accents all over the car. Inside there is yellow in the air vents, on the seats, and in the stitching. Subaru was fairly quiet at the show, since their debuts happened on the internet last week. 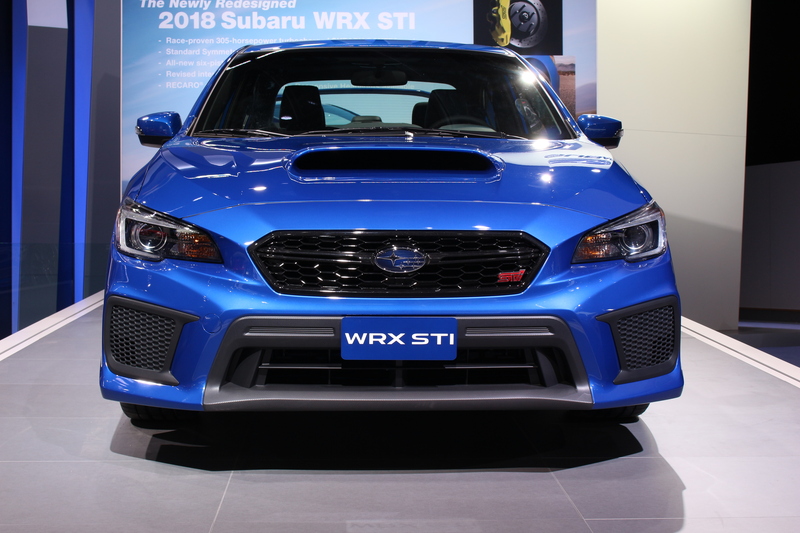 The WRX and STi get some updates and upgrades for the 2018 model year. The new front fascia, which looked great in pictures, isn’t all that attractive in person. Under the skin is a new suspension setup and upgraded Brembo brakes. The motors and transmission options on the WRX are unchanged. Both cars get revised power steering setups and suspension tuning, and the STi gets a new center differential which is now electrically controlled. Inside the screens both grow and a new Performance Package on the WRX offers Recaro seats. Big news for many of you automotive appliance shoppers, the 2018 Toyota Camry is all new and now made in America! The wheelbase grows by 2 inches and the beltline has been lowered to give the effect of a larger greenhouse. The stylized new design even gets a two-tone option and 19″ wheels if you opt for the sportiest XSE trim. The engines are all new, but somewhat familiar. A 4 cylinder and 3.5L V6 return to the lineup, but Toyota’s Entune infotainment system is all-new, featuring remove vehicle services and hopefully a more modern interface. Expect to see new Camrys basically everywhere this summer. The Volvo V90 made its debut online several days ago. 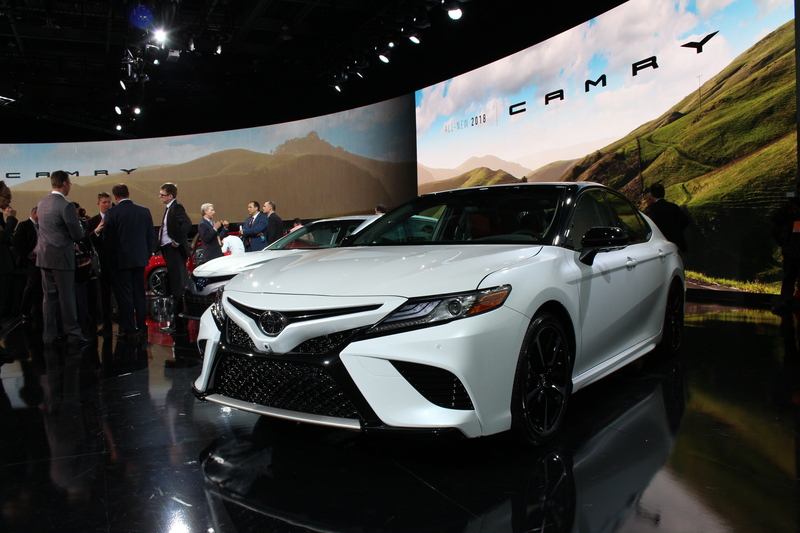 If you want to see one in person, the NAIAS might be your best bet. While this beautiful Swedish wagon will be here all week, prospective buyers will have to special order the V90 or fly to Sweden for the European Delivery program. 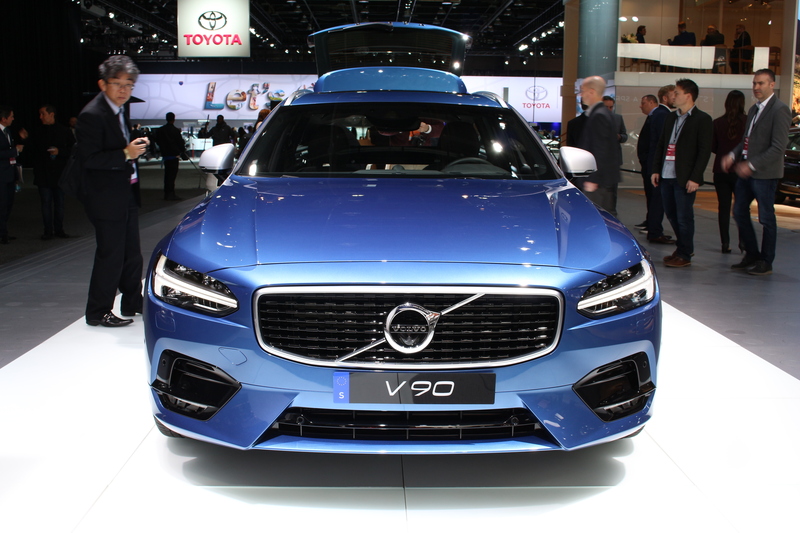 You will, however, see the lifted and body-clad V90 Cross Country at dealers near you soon. The V90 and V90 Cross Country offer the same engine and trim levels as their S90 sedan and XC90 SUV counterparts.